I’m a big fan of FFG’s approach to its RPG licenses. Similar to its Warhammer 40k RPGs, each of the Star Wars RPGs focuses on a separate niche of the Star Wars Universe. Age of Rebellion centers on the Rebellion’s fight against the Empire, Edge of the Empire spotlights the outer fringes of society, and Force and Destiny will let players explore the Force. Each of the games, while independent stand-alone products, utilizes the same core mechanics–a dice pool using FFG’s custom dice–and remain cross-compatible with each other. This helps to distill down the essence of otherwise large, established universes into digestible, functional campaign settings. The cross-compatibility isn’t perfect, but it generally gives enough framework to pull bits and pieces as needed. 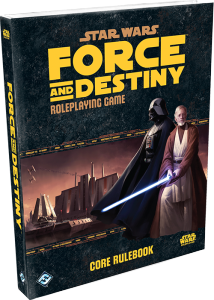 Fantasy Flight hasn’t announced pricing, but I would anticipate it to come in comparable to the Core Rulebooks for other Star Wars RPGs at $59.95. * Fantasy Flight has a pretty unique approach with their beta playtests. The softcover Beta rulebook has been available for purchase on their site for $29.95. Like most beta playtest materials, it lacks art and weighs in at only 256 pages. 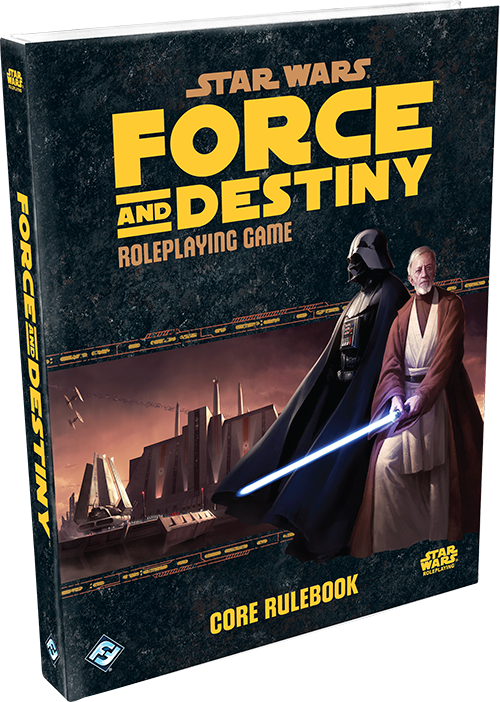 This entry was posted in News and tagged Fantasy Flight Games, FFG, Force and Destiny, RPG, Star Wars, SWRPG. Bookmark the permalink.